As the date for implementation of the new overtime rules draws near, nonprofits are beginning to plan their strategies for addressing the increased staff costs. This process is likely to produce some new insights into wage fairness in the sector in general. Some service nonprofits are looking at multiple positions where the new rules will apply. “We have approximately 40 employees that right now are exempt. And with the changes, that will change to only approximately 10,” said Michele Bronson, who handles human resources at the Council on Aging. With an $8 million annual budget that funds services for 164,000 clients, Bronson said compliance is going to mean making some tough decisions about which employees, from case managers to grant writers, will receive a raise. “The people who work here full time need to work full time. Either we pay overtime for all of those hours, we hire someone else to do that part, which costs money, or look at doing the increase in the salary so we won’t have to have this person go non-exempt,” she said. Bronson is starting to plan by asking all to employees log their hours, and then she has to analyze whether it’s worth paying overtime. 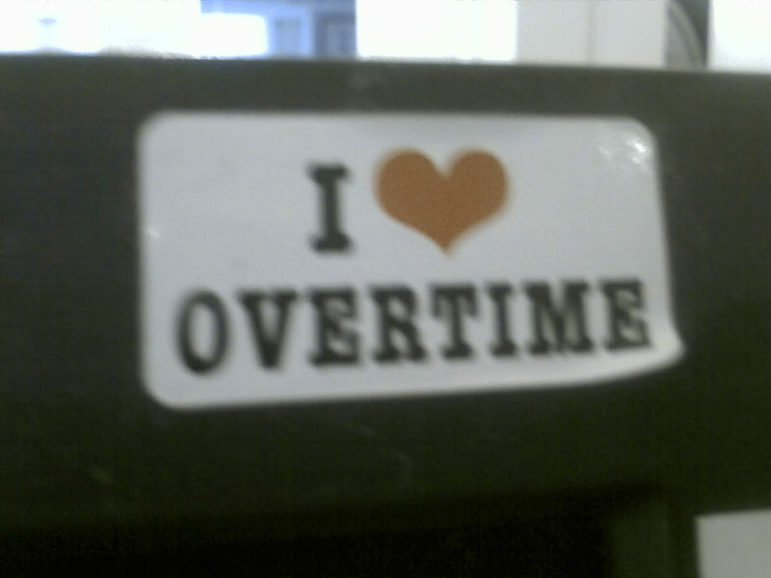 As covered extensively by NPQ, nonprofit reactions to the new overtime rule have been wide ranging. The overall sentiment seems to be that while nonprofits support the intent of the law, they are worried about how they will implement it and feel its impact. The fear of downsizing, either in terms of staff size or reach of mission, has caused some organizations to protest the rule and a number of members of Congress to introduce opposing legislation. Andy Schmidt may have made the best argument yet in favor of the overtime rule change in “Is Exploiting Workers Key to Your Nonprofit Enterprise Model? The New Overtime Requirements.” This article implores organizations to take a hard look at themselves and consider whether progress is being made towards mission at the cost of employees. It’s a must-read for any organization that’s facing tough decisions come December. Rather than fight the overtime change, nonprofits need to begin looking at it through the more positive lens of offering quality over quantity. Nonprofit organizations are fighting some of the most difficult battles, which include poverty, hunger, domestic violence, and human rights. This work can be exhausting both mentally and emotionally, leading to organizations beset with employee burnout and high staff turnover—both of which can be relieved by welcoming the new overtime rule. If staff aren’t taken care of, how can they take care of constituents? Studies indicate that well-treated staff who feel valued work harder, remain with the organization longer, and deliver a higher quality of care that propels organizations towards achieving their mission. Michael Wasser, a labor policy analyst for Jobs with Justice, notes that nonprofits that really take this challenge on with a positive approach may reap benefits in less burnout and turnover. “For many nonprofits, it’s the people who work for them that are their value add, and making sure that they can go home and recharge can have long-term sustaining benefits, because you don’t have to go out and recruit, train up, rebuild that knowledge.” Likewise, Mark Neuberger, employment attorney at Foley & Lardner LLP, says the new rules merely bring workplaces, be they nonprofit or for profit, up to date. “The law was passed at a time when men—and I mean men—went to work, and if the man wore a white shirt, they didn’t get overtime. And if they wore a blue shirt, they punched the clock and got overtime. Life today is not nearly so simple,” he said. At the end of the day, whether your employer is nonprofit or for-profit, you and your fellow employees should be able to make ends meet, if not live comfortably. Passion and a decent wage should not be mutually exclusive. Last year, three United Ways topped the national list for declines in their campaign revenues; this is the second of the three to end up in the news over the past week. Ironically, in a restructuring supposedly designed to equip a United Way to fight poverty, 37 are left without jobs.